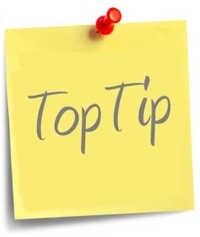 IMPORTANT: Each of these blogs have a top tip at the bottom.. worth the read just for that! At the APC Forum Jon Lever FRICS will be delivering a CPD talk on the latest RICS Rules of Conduct and Professional Ethics. 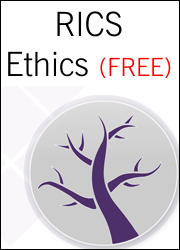 Jon has researched and trained this topic for the last 7 years since his involvement on the RICS Regulatory Board between 2007 and 2011 and more recently on the RICS Ethics Sub-Committee which he still sits on. Jon is also associated with the Institute of Business Ethics. Jon has made it his mission to raise awareness and educate both trainees and Chartered members of the RICS as Conduct and Ethics is often given little attention, yet it is one of the most important topics for our professional well being. Jon’s talk will be highly relevant for APC candidates and Chartered members. As a chartered member this could be relevant FORMAL CPD and tick the 3 year requirement for an ETHICAL ELEMENT in your CPD. We look forward to seeing you at the event and sharing our knowledge and experience in this learning environment. 1. Get involved with RICS. It is important that you get involved with RICS for your APC development. This will have many benefits as well as building up those all important business / network of contacts. Good networking opportunities can always be found at RICS meetings, various committees you can join and specifically RICS matrics events which are often designed to encourage and bring together both surveyors and other professionals. Generally any networking can be recorded in your Professional Development (CPD) and the APC assessors are always keen to see a candidate that is willing to engage with their fellow professionals. If you have a local RICS matrics group then join it, if not why not set one up? If you need some guidance or support with this get in touch. You can only start and progress your APC if you are employed in a relevant surveying job. It is also important that the job you are employed to do is able to cover and deliver the right practical experience for the pathway and specific declared competencies you have chosen. You need to have the commitment from your employer that they are happy to develop and support you. It is well worth putting a structured training plan toegther with your employer focusing on your declared competencies and commentary from your employer regarding the proposed experience they expect you to gain to achieve the competencies over time. The APC is your career (no one else is going to sit the final assessment for you) so you need to step up take control and go for it. You should always be seeking opportunities for training, developing your practical experience and progressing your professional development. I often speak with candidates who feel their support network is lacking and, whilst I do sympathise when employers are, maybe, not as proactive as they should be, I also challenge candidate’s motivation and suggest if they are a little lethargic themselves then it is often the case that supervisors and counsellors (as busy as they are) are not incentivised to help an unresponsive candidate. So the moral of this tale is get a grip of the APC and drive it forwards! There is a mountain of support out there, you just need to go and get it. You would think this is an obvious statement, that “every candidate needs to have a good understanding of the APC process”, yet you would not believe how many candidates I meet that have little or no appreciation of the depth, breadth and magnitude of the task that lies ahead of them to achieve Chartered status. It is a veritable mountain of effort, gaining practical experience, reports, administration and record keeping. I even meet candidates who are nearing the end of the process who have little or no appreciation of the content and requirements of their declared competencies! I often ask candidates, supervisors and counsellors the question “If they were to employ a professional Chartered Surveyor to assist them in a specific task for one of their clients, and that Chartered Surveyor delivered the work in a poorly produced report, not adhering to the client brief or requirements, laced with spelling and grammatical errors, on occasion technically incorrect and generally very poor in regard to presentation and structure…. Would you use the surveyor again or even pay them for their work?” The answer is always “NO OF COURSE NOT!” accompanied by lots of head shaking, rolling of eyes and tutting. So, why then is it, for some reason unbeknown to me, that APC candidates, supervisors and counsellors think it is OK to send to RICS a final assessment submission with exactly the same list of errors. And then, when after the final assessment, a candidate receives a negative outcome (referral) and a multi-page referral report, they proceed to complain that the APC assessors have done them an injustice! It seems daft, doesn’t it, yet this happens time and time again. From my own experience of assessing, (which spans some 18+ years now, that makes me feel a little OLD! ), I am still seeing about 60% of the candidates I assess sending RICS a poor and inadequate set of documentation prior to attending their Final Assessment. So it is with a heartfelt plea, not only for my benefit as an assessor, but for your benefit as a prospective final assessment candidate and Chartered Surveyor that you FULLY understand the APC process and get to grips with it and deliver exactly, to the letter, the RICS’s requirements, your client’s brief. I have made it a mission over the past 15 years, and will do so for many years to come, to provide FREE and cost effective support and advice to many thousands of APC candidates, supervisors, counsellors and employers both in the UK and Worldwide… All you need to do is come and get it and give yourself a massive opportunity to avoid being referred! BWA DeLever Invite YOU to Connect to a NEW and Exclusive APC Resource. Are YOU in the Middle East or know someone who is ? If you are undertaking the Royal Institution of Chartered Surveyors (RICS) Professional Chartership training, the Assessment of Professional Competence (APC), then you need to connect to BWA DeLever who are offering professional training and support in the Middle East. That is it for now. Get in touch on our LinkedIn discussion forum if you have any APC queries.